Quality is at the core of our culture, which is why we demand our plants always be audit ready, prepared even if you decide to audit us unannounced. Not to brag, but we continually ace plant audits by the most stringent food auditors from some of the industry’s best food companies. Our facilities are among the first group of U.S. manufacturing plants to achieve AA-ratings for the BRC Global Standard for Food Safety Issue 7 as benchmarked under the GFSI (Global Food Safety Initiative). The July 2015 update allows for this higher level of excellence at sites with 5 or fewer minor non-conformances. We consistently exceed FDA guidelines with our own quality control in food production standards and have received food-handling certifications for Kosher, Organic, Gluten-Free, and Halal products. With our specialty food manufacturing services, we also have the ability to process non-GMO / GMO-free products. Our quality control in food production processes hinge on being proactive with a comprehensive set of policies and procedures. Based on your guidance, we create a processing profile for every project, and we follow written directives to the letter. We document our follow-through with every processing run, change-over, and routine maintenance task. We keep you informed about your runs throughout the production process as well as provide ongoing updates on key details such as product loss, finished product quantities, delivery schedules, packaging inventories, and anything else you want to see. Our employees are at the frontlines of our quality controls, which is why we invest heavily in training and personal development for our team. 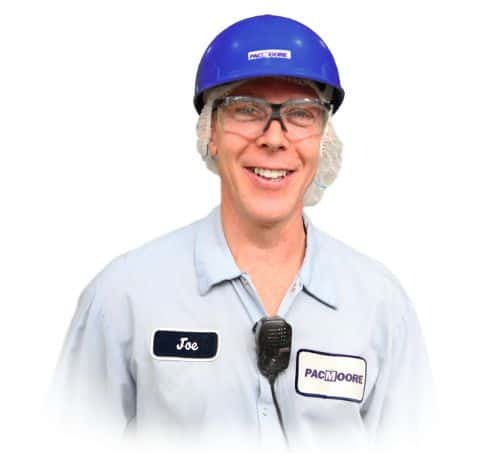 Thanks to our unique combination of onboarding instruction, shift change meetings, and professionally developed training on the floor and at workstations, our employees communicate better and are able to work to a higher standard of excellence in quality, safety, and efficiency. 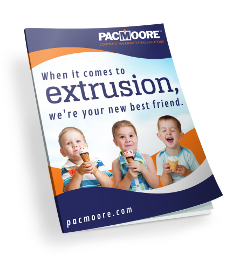 PacMoore not only manufactures the highest quality products for the food industry, we are also trusted to process excipients for the pharmaceutical industry, which necessarily requires a heightened degree of care, precision, and protection during production. Whether you need solutions for masking poor taste or medication release, our expert staff knows how to deliver. Whether it’s ensuring food safety through contamination prevention or providing consistently smooth, homogeneous blends, quality assurance drives everything we do. Come by any time to see for yourself. We’re always ready for an audit, and we would be delighted to show you around. Do you have additional questions about our Quality Assurance?